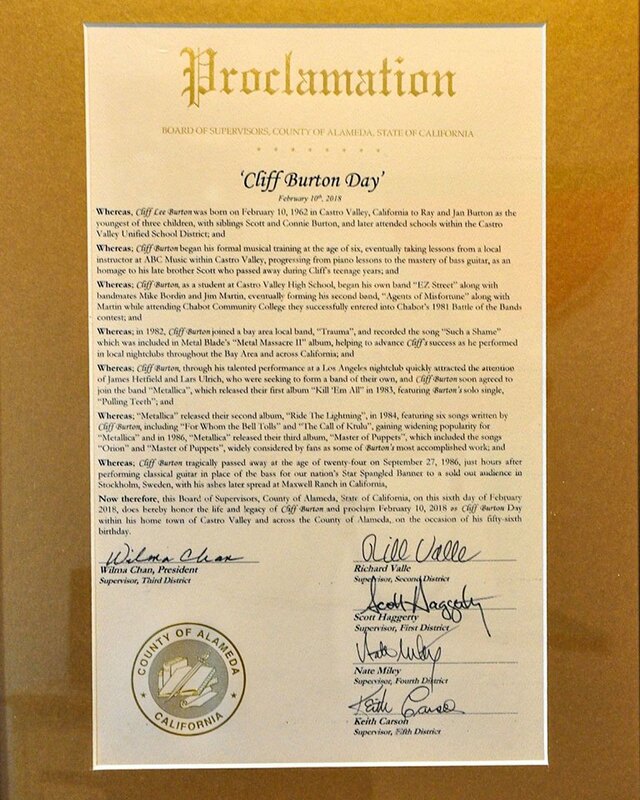 “The Board of Supervisors from Alameda County has just proclaimed February 10, 2018, which would have been Cliff’s 56th birthday, ‘Cliff Burton Day.’" shared Metallica on their social media sites. 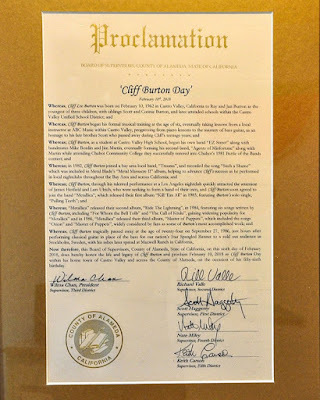 “As many of you know, Cliff was born and raised in Castro Valley and was the reason we high-tailed it to the Bay Area back in ’83. 1982; they famously relocated Metallica’s home base to the San Francisco Bay Area the following year on Burton’s request as a condition of him joining the lineup. 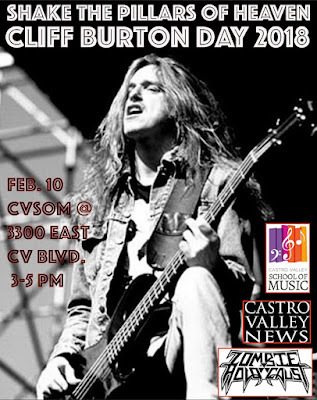 Burton was featured on Metallica’s first three albums; the group paid tribute to their fallen bandmate with the 1987 release of the “Cliff ‘Em All” video package. The band’s major label debut, “Master Of Puppets”, became thrash metal's first platinum album on its way to US sales of more than 6 million copies; an expanded 30th anniversary edition was released last year.